They have recently launched an “online academy” so all their courses and books are now available for to view online and download. Together Forever: a marriage preparation course. 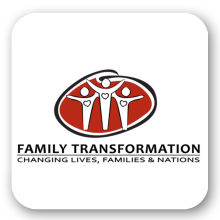 Speakers include, Chris & Phindi Mathebula who bring insight into topics like “Labola” and also Julie Hollely a Psychologist who does teaching on personality profiles. Ignite: This is an updated version of a previous course called Fan the Flame now with new videos and manuals. Please see their website for more details and to view other courses. Men of Honor, Living in God's River of Mercy ( also available in Afrikaans & French), Captivating your husbands heart. All books are ideal for small groups. Please contact Carol Orpen on +27 (0)41 581 8442 for orders or enquiries. 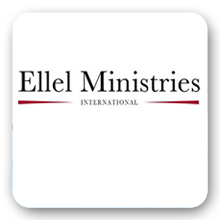 Ellel Ministries is a non-denominational Christian mission organisation with a vision to welcome people, teach them about the Kingdom of God and heal those in need. Jesus encouraged the disciples to pray, "Your Kingdom come... on earth, as it is in Heaven" and we believe He is still encouraging us to pray in the same way. God rejoices when His Kingdom authority is established in our lives and we learn to live in the presence and power of His Holy Spirit. In this way we become disciples and are able to enter into the destiny He has prepared for us. We long to see the Christian community rise up in strength of God to do the works of the Kingdom.